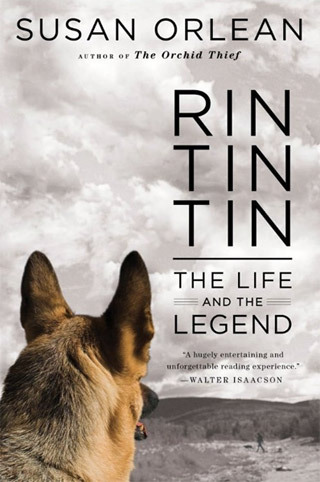 Buddy’s been eagerly awaiting this biography of Rin Tin Tin, the famed German Shepherd who starred in radio plays and movies during the 1920s and ’30s. He was so popular that when he passed away in 1932, TV broadcasts were interrupted with the sad news. The book comes from Susan Orlean, New Yorker magazine writer and bestselling author of The Orchid Thief, and is in stores today. Be sure to get your paws on it. This entry was posted on Wednesday, September 28th, 2011 at 1:21 PM. It is filed under Blog. You can follow any responses to this entry through the RSS 2.0 feed.